As ultra efficient as our Mass Rapid Transport (MRT) trains and buses may be, some days, you just might need something even quicker. Living in Singapore means that you will always have the option to enjoy additional speed, comfort, and convenience of a hired ride. Become one of us by discovering how to increase your chances with your Singapore PR application, and you too can always enjoy the perks of ultimate transport accessibility and choice here on this island. In fact, Singaporeans are not simply confined to traditional taxis either. We can now freely choose from a growing variety of ride-hailing services that have truly changed the game for Singaporean consumers. Confused and intimidated by all the complicated ride-hailing services out there? Stick to our range of homegrown traditional taxis, which offer a perfectly straightforward means of getting from point A to point B. There are a total of seven taxi operators here in Singapore, from the classic Comfort DelGro to the newest electric taxi operator, HDT. Compared to most other major cities, Singapore’s taxis rank among the cheapest and most efficient in the world, greatly bolstered by excellent road infrastructure. Do note that some taxi drivers may turn you down if they are approaching the end of their shifts or you have a pet with you. Taxis also cannot be hailed from the main road within the Central Business District area. Taxi fares here are simple enough. When flagged down, most taxis operate at about $4 for a journey that is under a kilometre and, thereafter, charge customers about $0.22 per 400 metres for up to 10 kilometres. This excludes the cost of passing through an Electronic Road Pricing (ERP) gantry, which differs depending on the flow of traffic in any area that is part of your journey. Peak hour surcharges will also be added to your fare if you flag down a cab in two different periods: between 6am to 9.29am and between 6pm to 11.29pm. If you are planning to call a cab, every taxi operator will impose a booking fee on top of the regular metered fare, starting from $6. 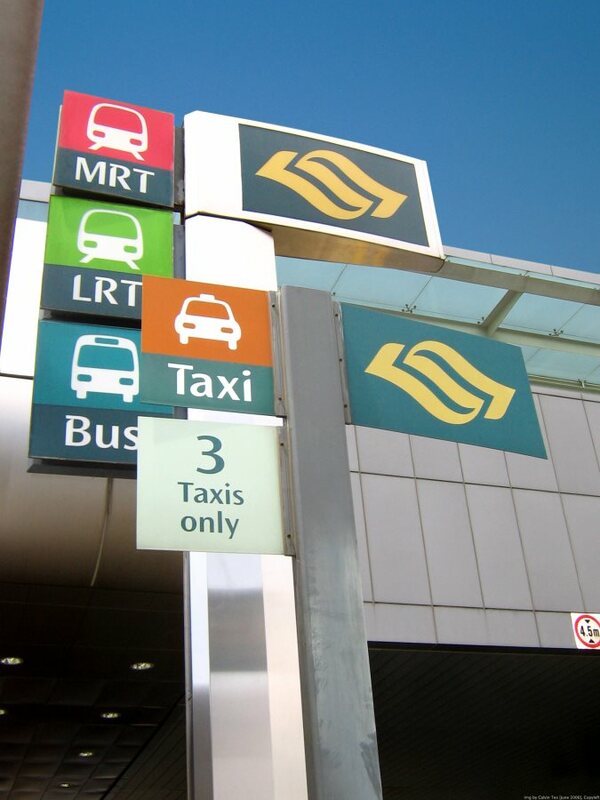 There may also be additional charges if you hail a taxi from certain places, such as Changi Airport, Resorts World Sentosa, and Gardens By The Bay. A 30 cents administrative fee will be charged if you make your payment using an EZ-Link or NETS while a credit card payment requires a fee of 10% of your actual fare. Taxis come with their own set of perks. For instance, where ride-hailing services are typically obliged to stick to routes recommended by the system, taxi drivers sometimes have a bit more leeway. In addition, consumers are not required to download an app just to get a ride, which may be more convenient for some. Getting a cab can be as easy as joining a queue at a taxi stand or engaging the services of a phone operator. You may also be able to hail one directly from the side of the road if you do so outside of the Central Business District. Those more inclined to the use of smartphones to book services may have the option to do so with some taxi operators. Surcharges are also more clear-cut and defined when hailing taxis, whereas most ride-hailing services tend to vary. It all depends on your own needs. Ride-hailing services refer to services that rely mostly on online platforms to match passengers with local drivers registered on their system. Singaporeans now have more than one of such ride-hailing services, and this includes Grab, Ryde, Kardi, and Go-Jek. Consumers such as yourself only have to download the right app on your smartphone to be able to make use of them. Here in Singapore, mobile data is always readily available and affordable islandwide, which means that you will always have access to such services wherever you are. Most ride-hailing services also tend to involve the use of a meter when calculating your fares, but each individual system may be much more dynamic. For instance, price surges may occur at places where demand for a ride is much higher than usual. Base fares, though, are usually much cheaper with ride-hailing services, starting from as low as $2.50. Some ride-hailing services also impose fare caps up to $100 to prevent excessive fare surges. Depending on the drivers, you may be able to decide between pre-paying the driver by linking your credit card to the app or paying the driver directly by cash when you reach your destination. More often than not, ride-hailing services come with cheaper fares. The only times in which ride-hailing services may end up much more expensive than your traditional taxi fares are when pricing surges kick in. Perhaps the most crucial difference between taxis and ride-hailing services, though, is the ability to rate each other. This greatly encourages both the driver and passenger to treat each other with the utmost respect throughout the entire journey in order to earn the best ratings possible. In addition, opting for ride-hailing services also helps you to save money that would have been otherwise spent on car petrol costs.